To learn more about Lenovo storage solutions and to consult with a solution architect, contact your Zones account manager or call 800.408.9663. 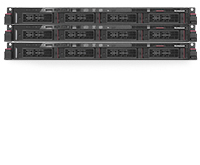 Lenovo offers easy-to-use, affordable storage-area network (SAN) systems with advanced capabilities integrate into your existing infrastructure – or start a new one. 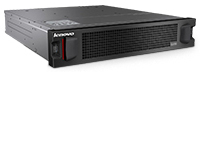 Lenovo Storage N4610 and N3310 are affordable and reliable enterprise-class network attached storage appliances to address the file and application storage challenges of small, medium and large business, branch office, and workgroup environments. 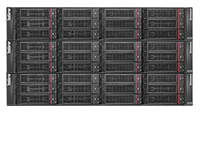 The ThinkServer SA120 direct attached storage array provides high-density expansion and enterprise-grade reliability for data center deployments, distributed enterprises, or small businesses. Its innovative storage design provides a perfect solution for businesses who require high performance and maximum capacity – at a fraction of the cost and complexity of typical storage area network choices.